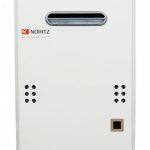 There are two kinds of tankless water heaters on the market. The first is called a "point of use" unit, and while it offers piping hot water at whatever sink or shower it's attached to, it doesn't deliver the kind of whole-house power that you need to run multiple taps at once. 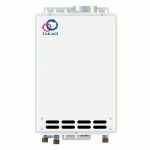 Enter the Takagi TH3DV TH3 Series 199000 BTU Direct Vent Indoor Whole House Tankless Water Heater (Liquid Propane). As a whole house unit, it's more than capable of meeting your demands for hot water around your entire residence. A single TH3DV installed anywhere on your property will deliver hot water across multiple kitchens, bathrooms and spa rooms. But what else does the TH3DV have to offer? How can you be sure it's the best unit for you? I understand that you want to be confident in your choice before investing your money in such a major purchase, so let's take a closer look at the TH3DV and all it does. First things first: What kind of numbers will you get with the TH3DV? There are several important ones to consider, so let's examine them one by one. Flow rate: This unit offers up to 10 gallons per minute (GPM) depending on things like altitude and outdoor climate. If you aren't familiar with tankless water heaters, that's an extremely high figure that you only see in high-demand whole house units. Power: The TH3DV can require up to 199,000 BTUs. It has an energy factor of .95. The water pressure is 15-150 pounds per square inch (PSI). Size: At just 59 pounds, this is a pretty compact unit for one that runs on liquid propane. 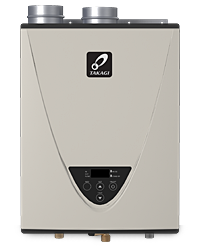 Most propane and natural gas tankless water heaters are much larger. As previously mentioned, the TH3DV is a "whole house" unit, so you'll only need to buy and install one of them to service your entire home. Its power also comes in a such a compact package that it can be placed anywhere on your property, including under sinks, on garage walls and inside utility closets. In terms of functionality, the TH3DV runs on liquid propane, and that's both a blessing and a curse in the world of tankless water heaters. On one hand, its internal sensors and burners are extremely efficient, so you're getting a high-quality performance there. On the other hand, you will need to monitor your unit carefully since it involves a live flame. You'll also need to install special vents to prevent its fumes from reaching hazardous levels. The good news is that the TH3DV comes with an allowable PVC venting system to make its operations as simple and convenient as possible. While your exact GPM will depend on where you live and how cold it is outside, you can generally expect up to 7-10 GPM from the TH3DV. That's a high number that can provide hot water for anywhere from two to four bathrooms at a time. As for temperature, you can customize it to your own specifications with the TH3DV remote controller. There are also built-in limits for safety so you never accidentally or unknowingly heat your water past the point of wisdom. Customers do report slight flow delays with simultaneous usage or extremely cold temperatures. The TH3DV will never fail to deliver hot water, but it may take a few seconds longer depending on what's going on both internally and externally. 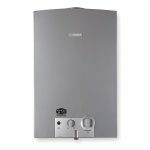 While I always recommend that a trained technician handle the installation of tankless water heaters, the TH3DV is relatively easy to understand and assemble, so it isn't outside the realm of possibility to DIY. In fact, Takagi includes a detailed instruction manual for this very purpose. If you have any questions, don't be afraid to call that technician. As with any product, there are pros and cons to the TH3DV, so make sure you consider both lists before handing over your credit card. 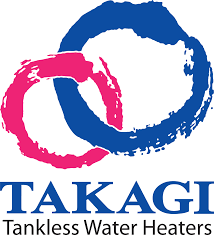 If you're looking for the best whole house tankless water heater on the market, the Takagi TH3DV is a model you won't want to miss. Though it isn't flawless, I'd give it a solid four out of five stars, and I'm confident that it can meet the needs of most modern homeowners. But you don't have to take my word for it! Check it out on Amazon to see details, specs and performance reviews by other consumers just like you.